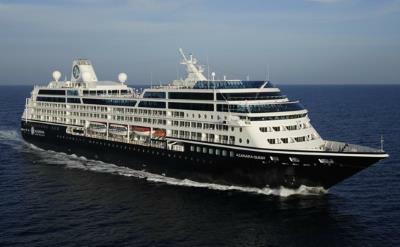 Azamara Cruise Line offers cruises to Australia from Singapore and Bali. They also offer a holidays cruise across southern Australia. See the schedule of departures below. 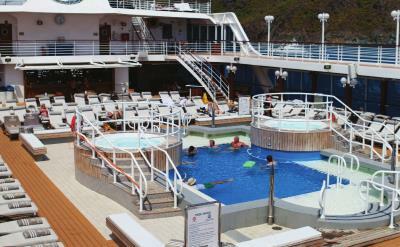 Azamara is a luxury cruise line that specializes in "destination immersive" journeys with more overnight stays in port. Their relatively small ships can visit places that the huge ships cannot. Stylish contemporary staterooms, relaxing Sanctum Spa, enticing dining and fun entertainment are what you'll find on board. 11-night cruise to Australia from Singapore on Azamara Pursuit. One-way from Singapore to Perth (Australia). Visit Semarang (Indonesia), Bali (Indonesia) and Geraldton (Australia). 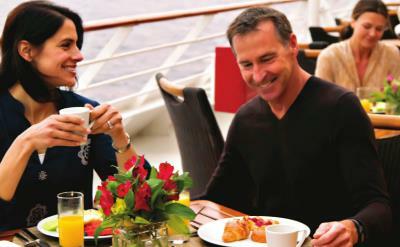 14-night Southern Australia cruise on Azamara Pursuit. One-way from Perth (Australia) to Melbourne (Australia). Visit Margaret River (Australia), Albany (Australia), Esperance (Australia), Adelaide (Australia), Kangaroo Island (Australia) and Sydney (Australia). This cruise includes New Year's Eve at Sydney. 11-night cruise to Singapore from Australia on Azamara Pursuit. One-way from Sydney (Australia) to Singapore. Visit Mooloolaba (Australia), Fraser Island (Australia), Airlie Beach (Australia), Cairns (Australia), Darwin (Australia) and Bali (Indonesia).